As I grow as a young professional, I am always seeking books that will aid in my development. I am constantly looking for those WOW books, the books leaving you wanting more and wanting to tell others all about it. 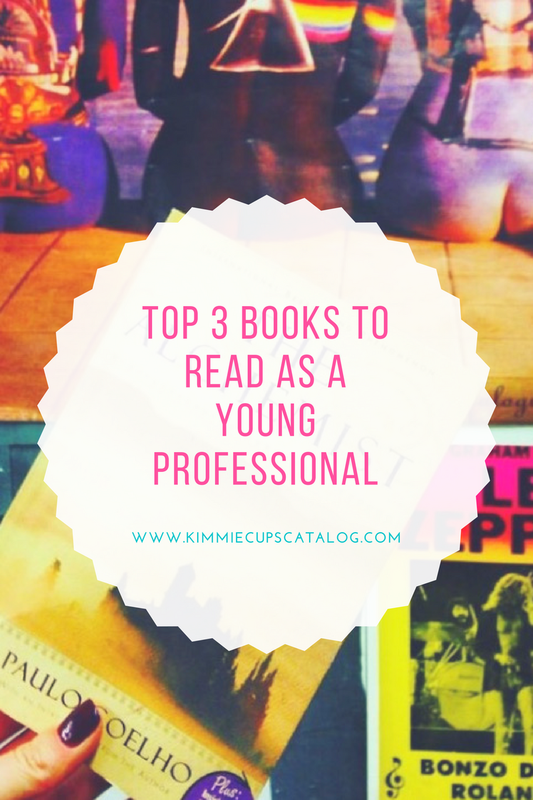 I know my lovely blog readers are looking for the same, so today I will be sharing MY favorite books that have helped shape me into the person that I am today! The Year of Yes changed my life. LITERALLY! Shonda Rhimes instantly became my best friend over night and I looked forward to listening to the audiobook every day. My first blog post discussed what made for a great book, and this book friends is the definition of why I read. I rented the book via audiobook from the library and became instantly sad once it was over. So sad that I went ahead and purchased the book and it is in office as a constant reminder that I am fearless and I can only be ME. The Year of Yes is about Ms. Thursday Night TV herself being an introvert and breaking free of that. She spends an entire year saying yes to EVERY. SINGLE. ENGAGEMENT regardless of her fears and need to be alone. The reader goes on a journey learning how Shonda battles and conquers the ability to love her true self. I am not introvert by any means but I am currently going through major life changes. I just got married, we bought a new home, I am taking on new hobbies and well ya know, life gets overwhelming! Shonda taught me that it is okay to say yes to saying NO! I don’t have to be everywhere, doing everything, and being super woman! If I feel overwhelmed now, how will I feel when it is time to take on motherhood!? So heck yea, now is the time to learn to say no to toxic friends, no to doing things that I don’t want to do, and no to not being myself. Fear is okay and normal but so worth tackling. One of the best parts of the book was when she was doing a major photo shoot for a magazine cover. She had done it ya’ll, she had conquered a full year of saying yes and she was loving life. She remembered that while fear was an issue, she took it by the horns and kept it moving. Each speech she presented became easier, each TV appearance wasn’t that bad, she reminds us it does get better! So thanks Shonda Rhimes, you know you are my bestie girl! The is an oldie but goodie. The Alchemist is dedicated to learning how to find your destiny. Ya’ll this book is full of life lessons! I found myself wanting to pretty much highlight the whole book! While I listened to it in audiobook, this is another read in which I plan to purchase a hard copy as a part of my must have collection. The book is about a young shepherd named Santiago who meets a king that inspires him to embark on a journey across the desert to follow his dreams (literally)! The journey allows the young boy to meet many people who open up his eyes and allows him to learn and be connected with his inner being. As Santiago comes closer to learning himself and the “Soul of the World”, he comes closer in finding his destiny. Everyone has their own journey they must walk on their own. No matter your surrounds, each person is unique in their own way. To me that is awesome! The catch is, you must remember that no one will see life quite like you see life or perceive the world like you perceive the world. Society teaches us to accept other differences but I believe it is important to accept your own and be proud of who you are! Trust the signed and omens of the world! Everyone should learn to trust the little signs and wonders provided by God. Santiago only learned that once he was in tune with himself and trusts his heart and surrounds. My favorite: when a person really wants something, the universe will conspire to help them get to their dream. This was a personal favorite because it hit home. I truly believe when a person really wants something, if you work really hard for it, doors do open, opportunity begin to present itself and you can begin walking in your destiny. Don’t get me wrong, patience is key with this, but when something is heavy on your heart, your eyes open up for any chance to get to where you want to go! Who Moved My Cheese: By Spencer Johnson This was a very cute read! It is another very popular book and I enjoyed it most because it was pretty short with a great story line. The author teaches the reader how to deal with change in a positive way. The store line is centered around 4 characters who live in a maze and spend their time looking for cheese. The four characters find a room with their favorite kind of cheese and became comfortable going to the same room every day with the expectations of the cheese being there. Well one day, they go to the room and realize change has taken place and the cheese is no longer there. The reader then learns the life lessons of how to respond to change and the results of not being able to adapt. What exactly would I do if I wasn’t afraid? Sometimes fear can be good because it forces you to think rationally and analyze all potential risk; but once the risk is pinpointed and it is okay to move forward, you have to go for it! What if I never moved to Nashville? I probably wouldn’t be married to the stud I have now! What if I wouldn’t have taken that internship, the banking industry that I work in now probably wouldn’t have even crossed my mind. I could go on and on with things that I was super afraid of but just took a leap of faith and went for it. Therefore, while fear is real, you should not be afraid to take risk in life, you never know what will come from going for the impossible! I should smell the cheese often, so I know when it is getting old. Monitor you “cheese” in life and know when change happens so that you can plan and prepare accordingly. The last thing you want is to be left behind in this ever-changing world. If you do not adapt to change, you can become extinct. The last thing I want is to be left behind when change happens. If my surrounds are changing around me and I’m stuck in my ways, I am only hurting myself. Change creates learning potential and adapting to it fast and positively only leads to positive results in the long run. I read Who Moved My Cheese ironically as I was moving into my husband and my first home! What a nervous but rewarding time for us both; this book definitely put things in perspective as we went through the mortgage process. You will love Year of Yes! I laughed, cried, and related soooo much! Hope you do the same! Who Moved My Cheese is a GREAT read! I can definitely vouch that it has helped motivate me as a young professional! I can’t wait to read The Year of Yes. Well I have read Year of Yes. Year of Yes, is one of my favorite books and helped me to stop being an introvert (well I’m not as bad as I was, lol). I will start reading the other two books. Thanks for your post. You will love the other two books, they are very informative! Thanks for stopping by!